1. 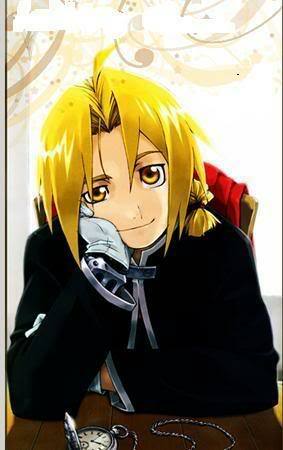 Edward Elric a.k.a "The FullMetal Alchemist"
2. 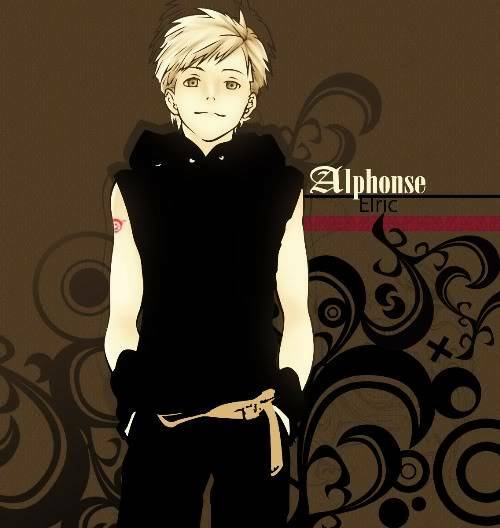 Alphonse Elric a.k.a "aL"
3. 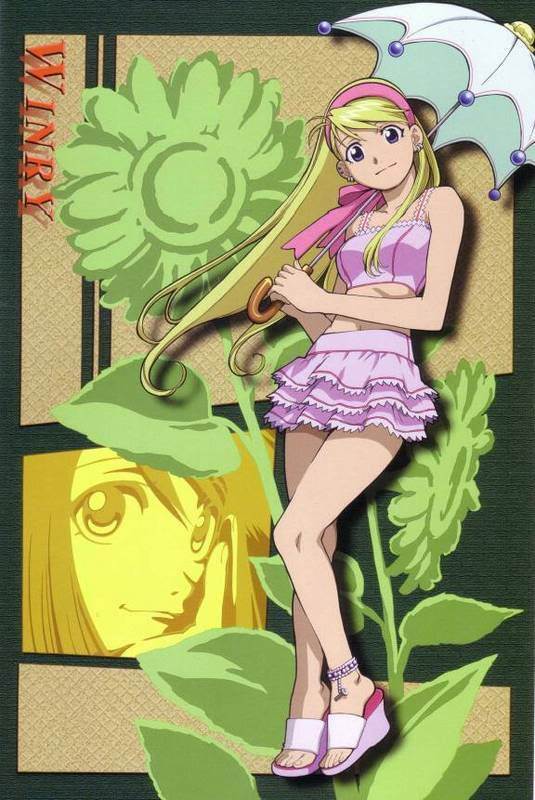 Winry Rockbell a.k.a "Auto-Mail Otaku"
4. Col. Roy Mustang a.k.a "The Flame Alchemist"
5. Alex Louis Armstrong a.k.a "The Strong Arm Alchemist"
7. 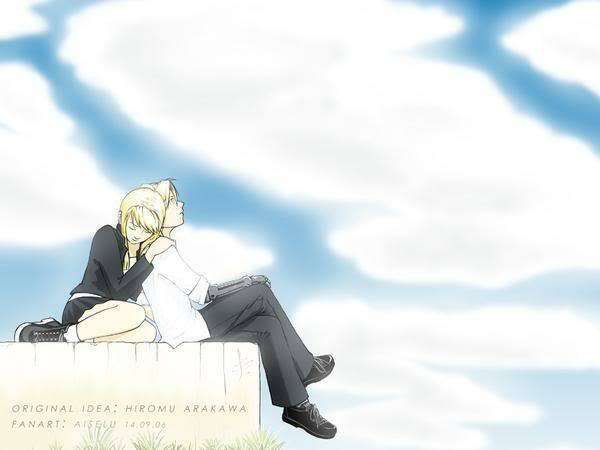 Hohenheim of Light (Father of Ed) a.k.a "The Immortal Alchemist" & "The Father of the Homunculi"
me is the magnificent Brigadier General Roy Mustang! 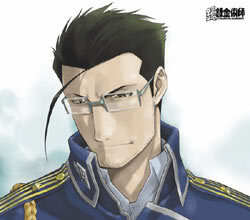 For Me Col Hughes still the best for me even though he died T_T BACKSTABBER Homunculi! Subject: Re: Your Favorite F.M.A Character?